Ethel Pasvolsky Timer, (Eppie) 89, of Pawelys Island, SC formerly of Pinehurst, North Carolina, passed away in her home on Saturday, April 13, 2019, with her family beside her. Eppie was born in Englewood, New Jersey, April 20, 1929, daughter of the late Valentine Pasvolsky and Ellen Isabel Stoughton Pasvolsky. Eppie attended Lakewood High School, Lakewood, New Jersey, and Panzer College, in Montclair, New Jersey, where she met her husband Sam Thomas Timer. They married in Bergenfield, New Jersey, in 1948, and were married for 62 years until his death in 2010. Eppie was very active while in school and participated in many extracurricular activities. Sports and dance were her passions, she was the head majorette at Lakewood High, and while in school she taught dancing including her favorites the Jitterbug and Hula. 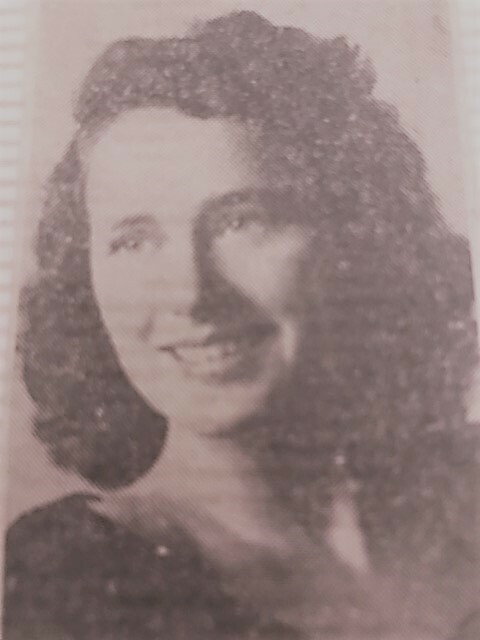 Ethel raised four children accompanying her husband, a career football coach, from North Plainfield New Jersey, University of Virginia, Clark High School, Wake Forest University, Virginia Military Institute, Cornell University, Duke University, Allegheny College, Boston College and Birmingham England. She worked as a registrar while at some of the colleges, including Allegheny. They retired to Pinehurst, North Carolina in 1989. She later moved to Pawleys Island to live with her daughter Caryl and husband Bob, after her husband’s death. She was an amazing wife and mother, always patient and kind. Ethel was preceded in death by her parents, and her siblings Rudolph Pasvolsky, Richard Pasvolsky and Caryl Royle. She is survived by her four children, Lawrence Timer, Richard (spouse Jody) Timer, Caryl (spouse Bob) Browner, and Katherine Moralez, 9 grandchildren and 4 great grandchildren. Funeral services will be held at 11 am Thursday, April 18th at Pawleys Island Community Church. Interment will be at the Sandhills State Veterans Cemetery in Spring Lake, North Carolina. In lieu of flowers, donations may be made to Pawleys Island Community Church, or Heartland Hospice of Myrtle Beach.